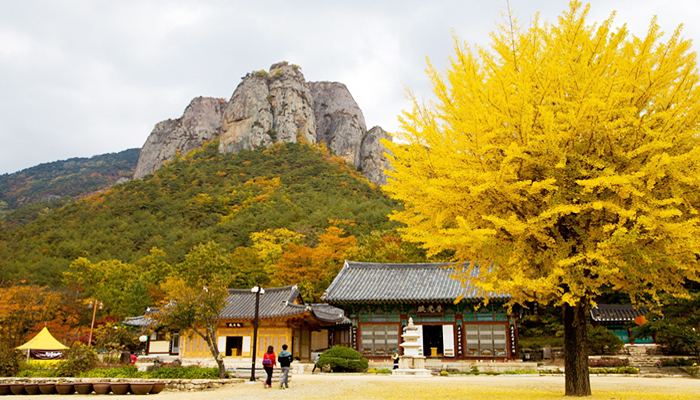 [KTravel] Recommended Autumn Destination - 짱이뻐! It's September already, means summer heat will be replaced by autumn breeze really soon! According to KTO website, the leaves are expected to change color around late September.Fall foliage generally reaches its peak in two weeks from the time the leaves begin to change, meaning this year’s peak foliage is expected to hit the central region around late October, and the southern region around early November. This is when you can hit the road to revel in the splendor of the changing of the seasons. 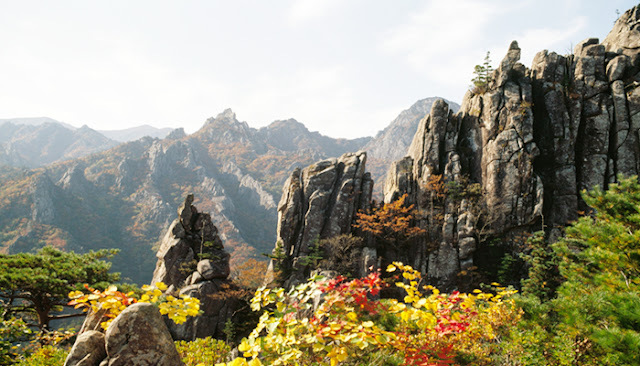 When it comes to autumn destinations, the first mountain that comes to mind for most is Seoraksan Mountain. A feast for the eyes throughout the year, rich colors make Seoraksan a main attraction in autumn. There are plenty of hiking trails along the mountainside. 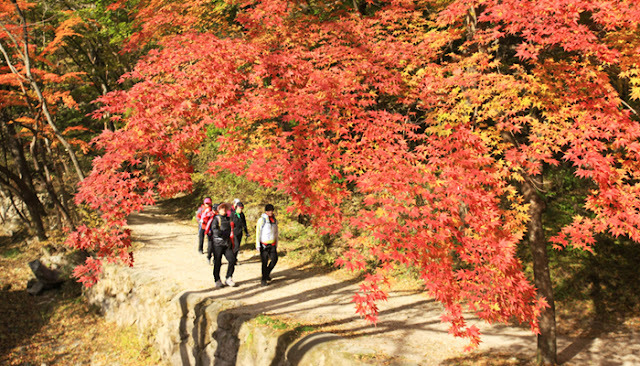 When planning your hiking route, take into account that the best places to view leaves are Cheonbuldong Valley(천불동계곡), Osaek Mineral Spring(오색약수터), Osaek Jujeongol (주전골) and Baekdam Valley (백담계곡). Odaesan Mountain’s vibrant fall foliage puts it on the map as an autumn destination. A popular vacation site year round, the mountain bustles with campers and guests at natural recreation forest lodges, especially during peak foliage season around mid-October. During busier times, the road from Myeonggae-ri, located to the north of Woljeongsa Temple (월정사), often offers more convenient access to Odaesan Mountain. Beloved in Korea, Jirisan Mountain is rugged in form and impressive in scale. 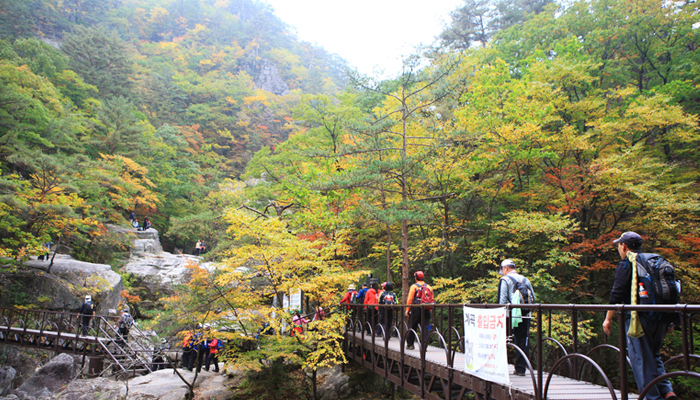 During peak foliage season in late October, the slopes blaze with brilliant colors in the rocky landscape, while Piagol Valley (피아골) andBaemsagol Valley (뱀사골) offer great hiking trails. Jirisan also extends across three provinces (Gyeongsangnam-do, Jeollabuk-do and Jeollanam-do), and many choose to go on overnight hiking trips to fully appreciate the mountain. • Jinju Intercity Bus Terminal → Take a bus bound for Jungsan-ri (중산리행) → Get off at the last bus stop. Second only to Seoraksan Mountain, Naejangsan National Park boasts a high volume of visitors every year. The most remarkable feature of this mountain during autumn is the tunnel of multicolored maple trees that begins at the ticket office. 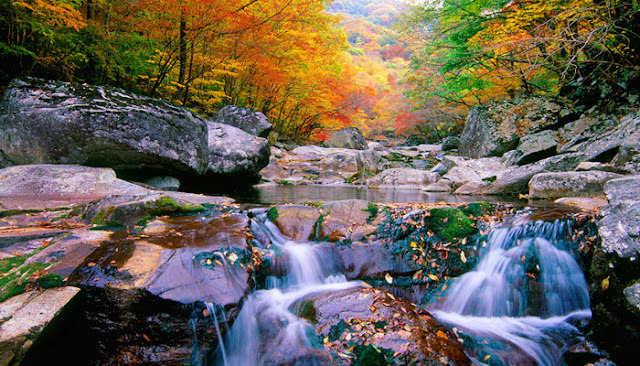 Juwangsan National Park is characterized by rocky peaks, deep valleys and elegant waterfalls. Its main hiking trail, which runs through the Sangui Parking Lot (상의주차장), Kaldeunggogae Ridge (칼등고개), Hurimegi (후리메기), Waterfall No.1 and back to the parking lot, takes approximately four hours to complete. At dawn, the thick fog blanketing Jusanji Pond near Juwangsan Mountain, combined with the reflection of trees in the water, continues to attract visitors, especially photographers, to the mountain every year.